While the PS4’s firmware doesn’t update very often, the updates we get usually introduce a wealth of requested features. 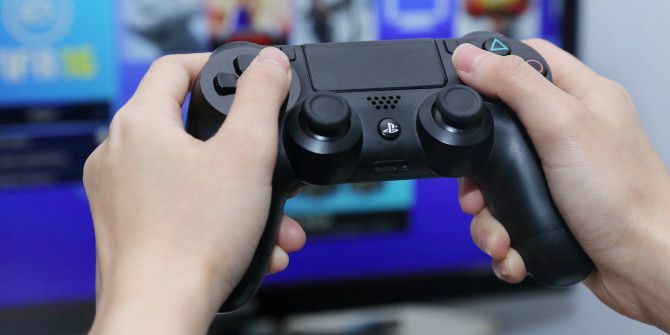 Update 4.0, launched just last week PlayStation 4 Gets HDR Support & More in Firmware 4.0 PlayStation 4 Gets HDR Support & More in Firmware 4.0 Sony has rolled out their latest update for the PlayStation 4. Here's everything you need to know! Read More , includes new conveniences like folders for games and support for HDR display HDR TV: What It Is & Why You'll Need It in 2016 HDR TV: What It Is & Why You'll Need It in 2016 High Dynamic Range, or HDR, is shaping up to be the big TV buzzword for 2016. But what is it? Will it live up to the hype? Here's all you need to know. Read More . One existing tool that received a tweak is the Quick Settings menu. Before the update, this menu included a few power options and quick controls to adjust headset volume mix or quit your game. In Update 4.0, this menu now only takes up the left side of the screen and is revamped to include more frequently used options. The defaults include toggling your online status and viewing online friends, but you can add even more to this menu to make it better for you. To do so, hold down the PS button for a few seconds to open the Quick Settings menu, then scroll down to Customize. Choose Menu Items to add more options. Here, you’ll be able to add a few additional options to the menu. These include Party for quickly joining or managing a party and Accessibility to access options such as making the font larger or customizing button inputs. Social players can also add quick access to Communities and the ability to Broadcast for those times when you want to start streaming right away Can't Get Viewers on Twitch? You're Playing the Wrong Games Can't Get Viewers on Twitch? You're Playing the Wrong Games Trying to build an audience on Twitch feels like hosting a party that you forgot to send out invitations for. If you want to boost your traffic, consider these questions when you pick a game. Read More . You can also remove any choices you don’t need quick access to from this menu, if the defaults don’t suit you. Once you’re done, be sure to use the Sort option to get everything in a logical order. Which options do you prefer in your Quick Access menu? Let us know if you find this revamp useful in the comments!